Silly enough for kids… bad enough for adults! In the thrillingly epic satire Unemployed Public Television Vampire Hunters, a motley collection of public television heroes rode off into an apocalyptic sunset aboard the Boston Symphony Hall. Pine no longer, fans, because here their adventure continues. 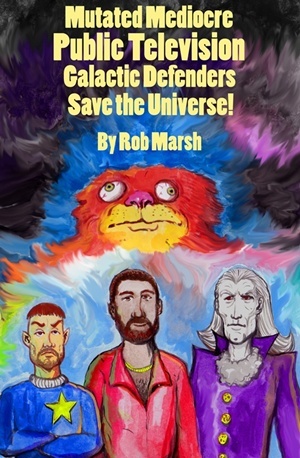 Join scientific Bertie, neighborly Frank, Georgie the reader, Billy the gentle painter, and the shrill red puppet Ergo as they battle evil robots and aliens, mutate into spacey things both weird and satirical, and save the universe! Did you know you could do all that in Toronto?